The LIDAR-Lite 3 Laser Rangefinder by Garmin is an essential, powerful, scalable and economical laser based measurement solution supporting a wide variety of applications (ex. drones, general robotics, industrial sensing and more). Measures distance, velocity and signal strength of cooperative and non cooperative targets at distances from zero to more than 40 meters. 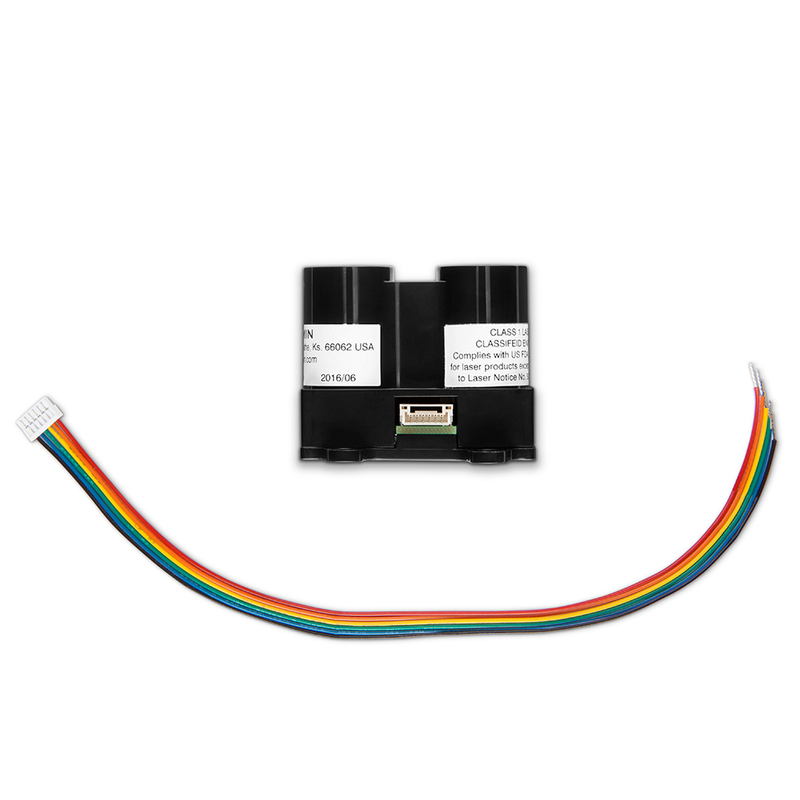 Offering the highest performance available in a single beam ranging sensor in its class. 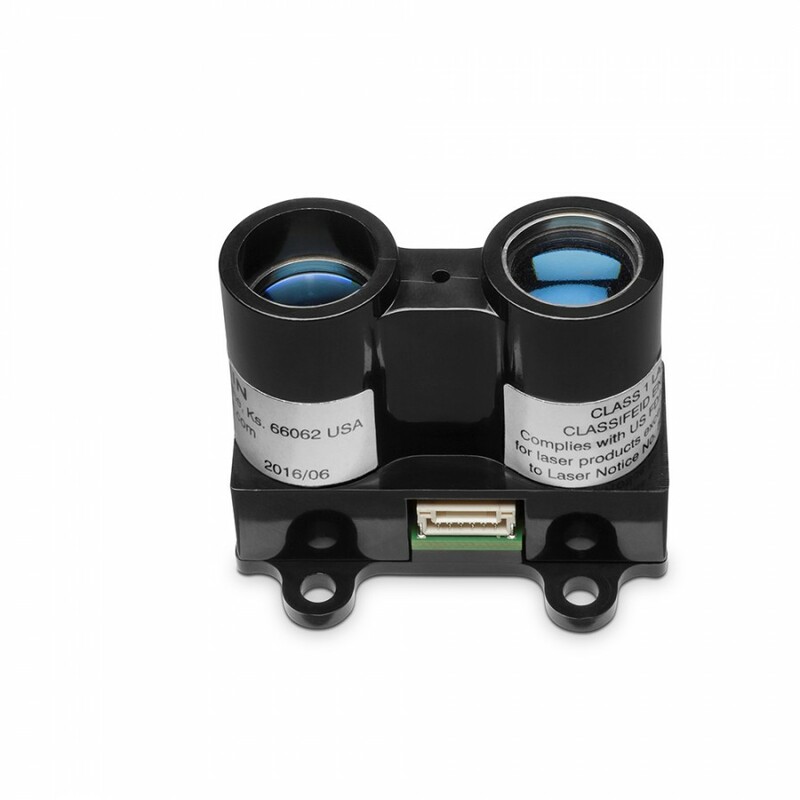 With the implementation of a new signal processing architecture, LIDAR-Lite will now operate at measurement speeds of up to 500 readings per second offering greater resolution for scanning applications. 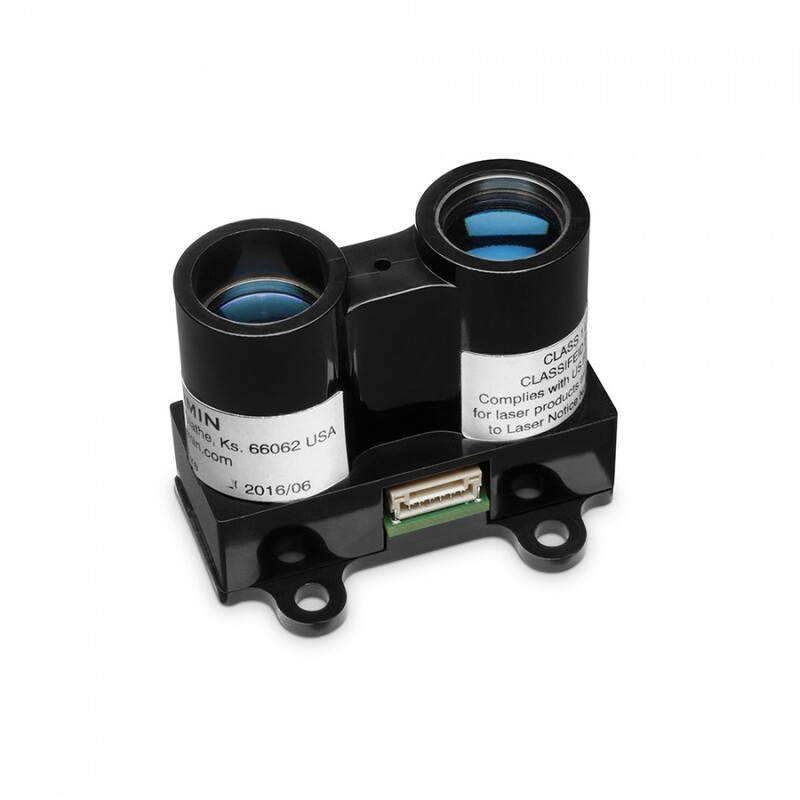 LIDAR-Lite I2C communication will now operate at 100kbits/s or 400kbits/s. Now broadly compatible with the most basic of I2C drivers and most micro-controller boards. Instead of “ack” and “nack” responses when the sensor is available or busy, a status register (0x01) can be queried to indicate sensor status. The previous measurement value can be read anytime during an acquisition until it is overwritten by a new value. No need to wait for the sensor to become available to read data. Just fire it up and let it rip! Individual sensors can have a unique I2C address. The base address of 0x62 can be used as the default in single sensor applications and it will also be available in multi-sensor applications as a broadcast address to initiate a command to all the LIDAR-Lites on the I2C bus. Compatibility will extend into future versions and product variants, i.e. LED based sensor, long range or high rep rate products. Application code improved and updated. Many projects ready to run with only an Arduino and the sensor right out of the box.